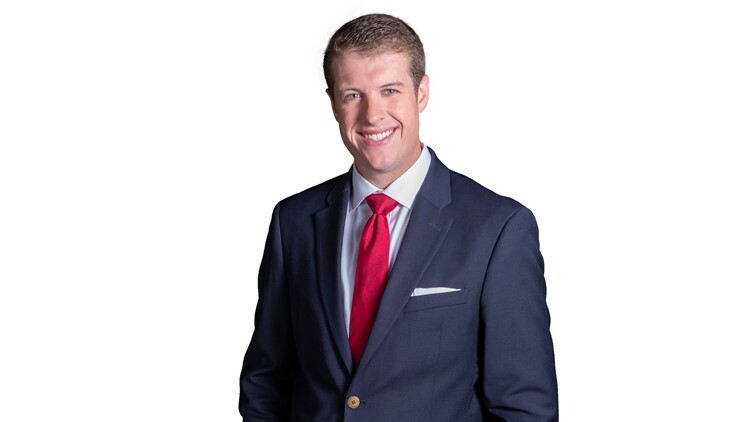 Dan Kennedy comes to Hampton Roads from Nashville, Tennessee as the newest member of the 13News Now Daybreak team. Dan is no stranger to early wake-up calls. He worked the morning show in both Nashville and in his hometown of Chattanooga and enjoys starting his day before sunrise. While in Tennessee, Dan reported on a wide range of stories, including the devastating Gatlinburg wildfires, a terrorist attack against servicemen in Chattanooga, and the manhunt for the accused Waffle House shooter in Nashville. He also traveled to Florida in 2017 to cover Hurricane Irma both as it made landfall and the ensuing days of recovery. In 2018, Dan was honored with an Emmy for his part in the breaking news coverage of a flash flood that devastated a Tennessee community. Even when covering such natural disasters and local tragedies, he tries to find the good in humanity, oftentimes by highlighting the heroic efforts of first responders, volunteers, and neighbors. Dan is a graduate of the University of Missouri where he studied journalism and business and worked as a reporter at KOMU 8 News. He is an avid fan of the Missouri Tigers, the Tennessee Titans, and the Nashville Predators. Dan enjoys reading about U.S. history, playing golf and running. He frequently races in half marathons and completed the 2015 Chattanooga Ironman 70.3 while raising money for the Leukemia and Lymphoma Society. Dan is excited to immerse himself in the Hampton Roads community. If you have any recommendations of places and things to see or try, reach out to him on email or social media on Facebook or Twitter.